The Social Fund for Development (SFD) and its donors concluded their Joint Review Meeting that discussed the SFD performance, progress of its operations and recommended best practices to increase the effectiveness of the emergency response in order to improve the lives of the conflict affected communities in all governorates. 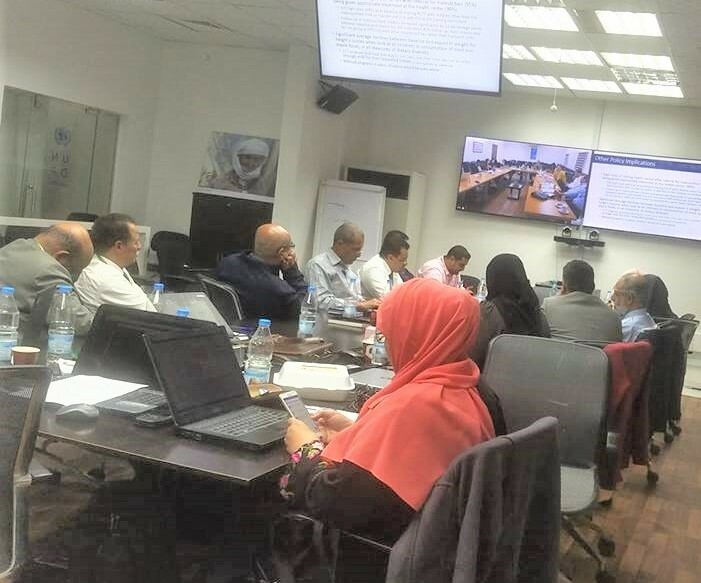 The participants also listened and discussed an assessment from the International Food Policy Research Institute (IFPRI) on the impact and effectiveness of the SFD Cash-for-Nutrition program as a unique nutrition response in Yemen. The IFPRI researcher presented positive results underscoring effective impact in reducing malnutrition and improving health and social situation among its beneficiaries and their families. The SFD represents a national success story in the current crutial conditions. It has improved its performance and has managed to apply the best international practices in bringing humanitarian and development response. Among the main reasons of its ability to continue its work since the escalation of the conflict has been its ability to adapt its work mechanisms to emergency approaches and its commitment to independence while targeting the affected areas throughout Yemen. This has been achieved with the continued follow-up by donors and the continued evaluations of the third party.